As the third largest city in Germany and the capital of the German state of Bavaria, Munich sees a lot of visitors year round, not just during famous celebrations like Oktoberfest. The city has a strong cultural center with parts of town devoted to the arts and universities. Munich also hosts a number of exhibitions and international events and is becoming a popular city for expatriates looking to relocate. If your upcoming travels include a stop in Bavaria, here are some of the best hotels in Munich. If you are looking for a hotel with history, look no further than the Hotel Vier Jahreszeiten Kempinski Munchen. Opened in 1858, it's certainly one of the more historic hotels in Munich. It's hosted a number of celebrities and King Maximilian II originally used it as his guesthouse. Public areas and rooms feature a mix of antique decor with modern amenities. The Hotel Vier Jahreszeiten Kempinski Munchen is centrally located right on the Maximilianstrasse. 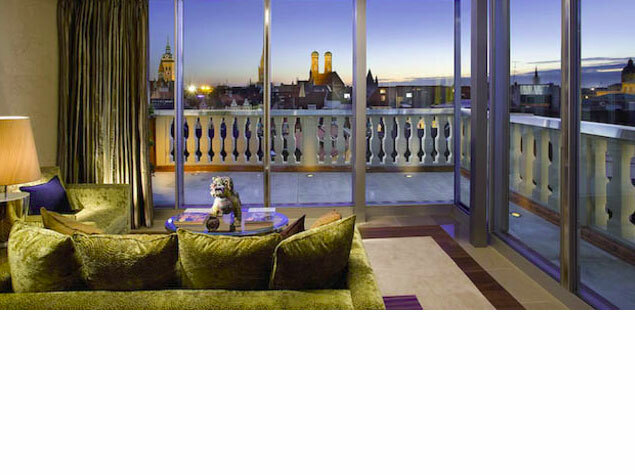 The Mandarin Oriental is certainly one of the trendier hotels in Munich, attracting a number of celebrities, fashion models, designers and other members of the social elite. 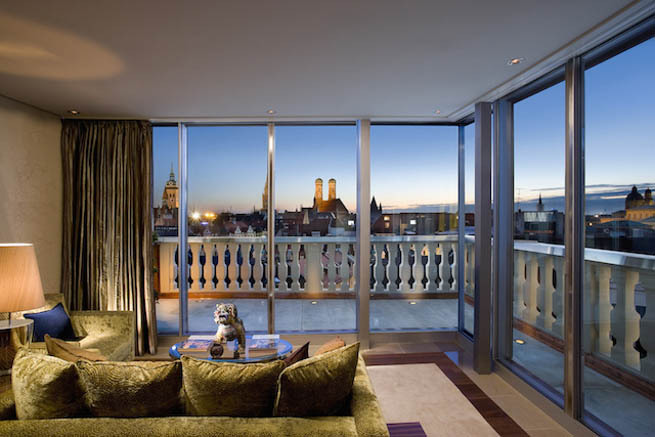 Like the Hotel Vier Jahreszeiten Kempinski Munchen, the Mandarin Oriental is also located right at the Maximilianstrasse, in the heart of Munich's shopping and culinary center. The location really can't be beat and some of the rooms even overlook the Hofbrauhaus beer gardens. If the weather is good, be sure to check out the rooftop pool that offers a 360-degree view of Munich itself. The Mandarin Oriental even offers a complimentary Mercedes-Benz bike hire. If convenience is what you are after, consider the Hilton as it is consistently rated as one of the best hotels in town for business travelers. The Hilton brand is known for its array of business amenities and the Hilton Munich City is no exception. It's also conveniently located adjacent to the Platz S-Bahn Station and is less than a 10-minute walk from the center of town. The Hilton Munich City is only 35 minutes from the Munich Franz-Josef Strauss airport as well, making this a very convenient place to spend the night. If you are hoping to stay close to Munichs LGBT scene, one option is Deutsche Eiche. Deutsche Eiche is located in Munich's Gartnerplatz area, a popular meeting point for gays and lesbians as far back as the 1950s. This cool hotel also features a four story bathhouse, complete with Finnish and salt saunas. If it's the best hostel you are after, one of the most popular options is the Euro Youth Hotel Munich. This hostel includes free Wi-Fi, easy access to the train station and is just a two-minute walk to the Karlsplatz, the start of a cool pedestrian zone. The Euro Youth Hotels bar is a popular stop, serving Munich's own Augustiner Brau. The best part though is that the hostel is only a ten-minute walk to the Hofbrauhaus, Oktoberfest and the Marienplatz. Which of these hotels would you like to call home for a few days?